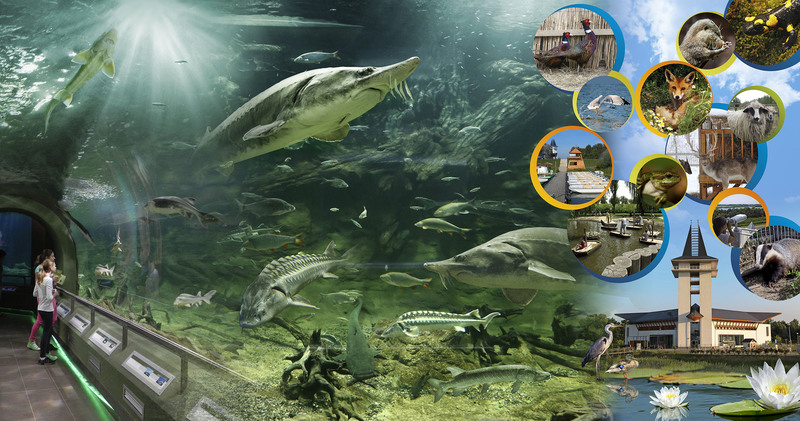 The new touristic complex by Lake Tisza was erected to collect and display the amazing nature and wildlife of the River Tisza valley and the second largest lake in Hungary Tisza-tó. It was opened to the public on 27th April 2012. The main building of Lake Tisza Ecocentre designed by Architect Laszlo Kertai laureate of Ybl Award symbolizes a huge landing bird. This inspiring architectural wonder offers a whole day programme with its permanent and temporary exhibitions, conference and event hall, 3D cinema, "A night in the forest" exhibition of reptiles and amphibia in terrariums, children's playroom "enchanted waterworld" or its lookout tower, as the panoramic view from its terrace in one direction to the lake and to Matra and Bukk mountains to the other is simply breathtaking. You may hire an AUDIOGUIDE device to get information in English, German, Polish or Hungarian languages. 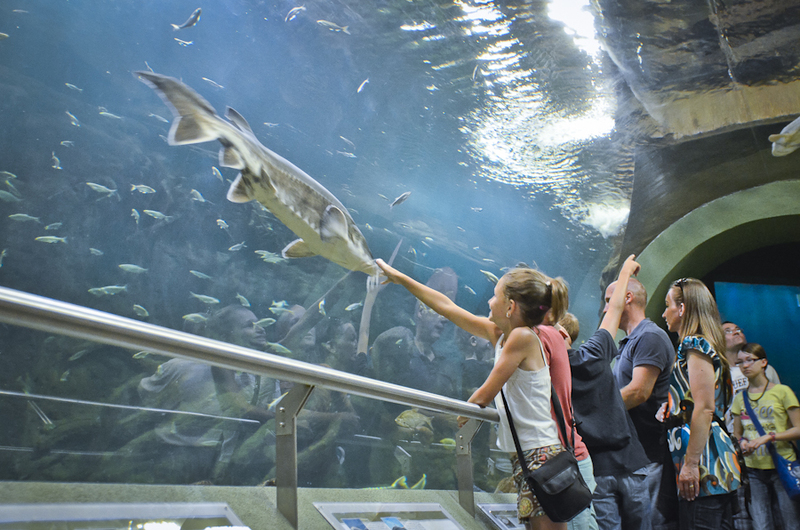 However the strongest argument to visit the place without doubt is the largest freshwater aquarium system in Europe: the capacity of the giant aquarium is 535 000 litres in itself, the underwater tunnel is 7 metres long and weighs more than 4.5 tons. The main building is surrounded by a leisure park on 7 hectares: this part of the complex is not only a Zoo with such indigenous animals like golden jackals, traditional Hungarian sheep types, storks, cormorants or pelicans but it is a kind of an amusement park with many facilities for families and kids incl. playing grounds, one of them offering an opportunity for funny rafting on wooden boats. Walking around this leisure garden you will soon find yourself in the 19 century for a while: the Poroszló local museum with its collection of rural items, a display of old fishing tools as well as a traditional poultry run or rabbit yard will help you to imagine the rural life in Poroszló in the old times.